Enter your email address below to receive a notification when Bless Box starts accepting new sign-ups! Enter your email address below to receive a notification when Bless Box is accepting new sign-ups again. Bless Box ships once per month, around the end of the month. 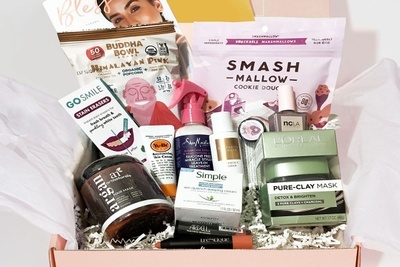 If you subscribed on or before the 17th, you will receive that month's box. 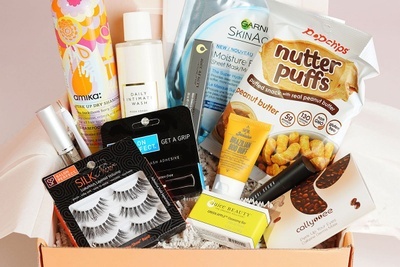 If you subscribed after the 17th, your first box will be the following month's box. 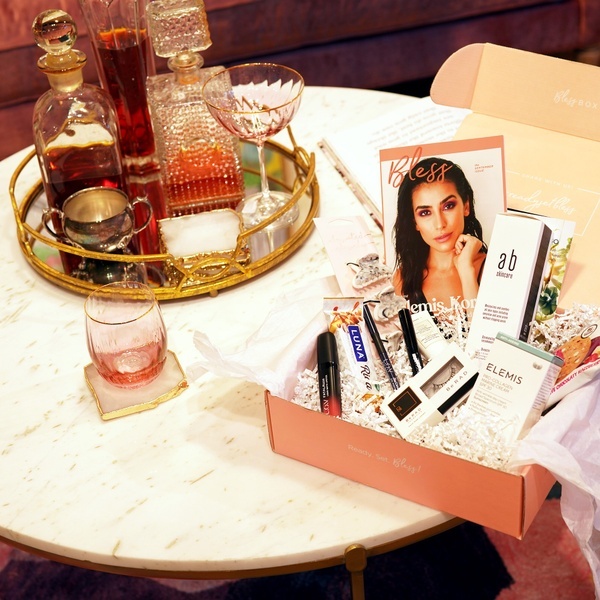 Note: If you cancel your subscription, you must notify Support at hello@theblessboxcom to ensure you receive your final box! 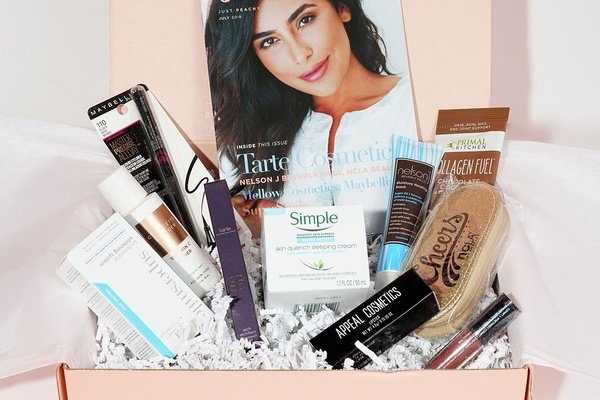 Unbox the best in skincare, cosmetics and wellness each month with Bless Box. All items are curated and hand-selected by the lovely Sazan Hendrix. Each month Bless Box sends 7-10 items and our box is always valued at $125 or higher! Hi Maryjane, Thank you for your feedback! Bless Boxes ship once a month around the 20th - 25th, and March's box is going out around this same time! You'll receive an email with tracking info as soon as it goes out. 💗​ Thank you again for your feedback, and for checking out Bless Box! If you have any questions or concerns at all, please reach out to Support at hello@theblessbox.com. They're always happy to help!" 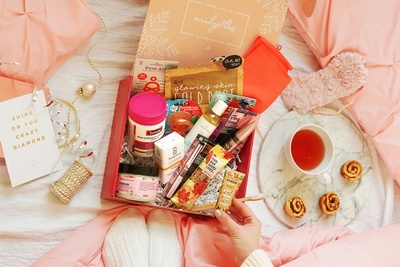 $169+ worth of luxurious skincare, hair accessories, healthy snacks, and Fall ready makeup. 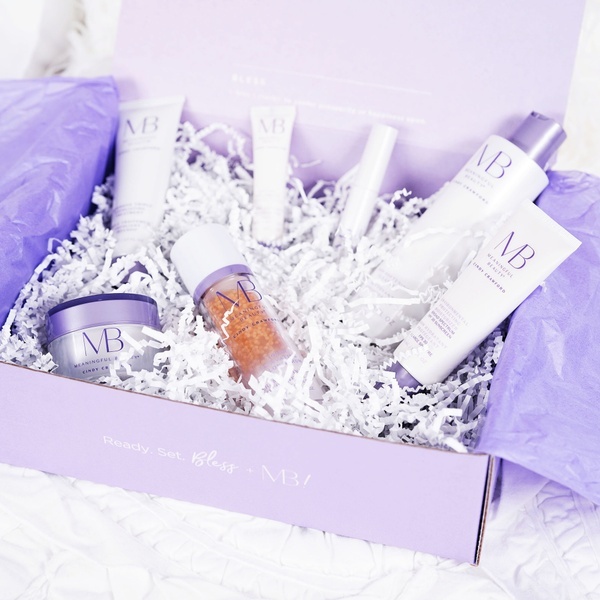 A $360 set of Cindy Crawford's skincare line Meaningful Beauty was the star of the October 2018 Bless Box. Our most popular box yet! 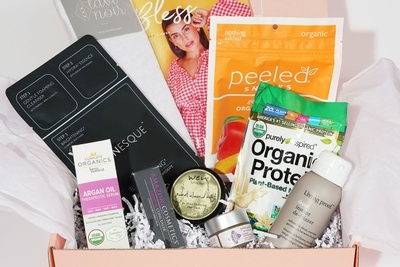 $130 of the best in skincare, cosmetics, and wellness of the season. All hand-selected by Sazan Hendrix.